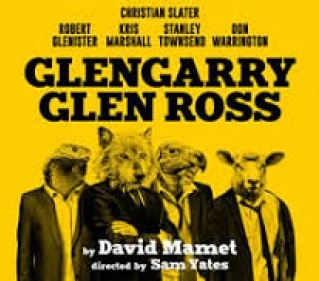 David Mamet’s tale of manic real estate salesmen is so precise and mannered it requires complete naturalism – and it takes a while for Sam Yates’s handsome production to achieve that. Christian Slater, his vulpine grin apparently refined in a wind tunnel, is well cast as flashy Ricky Roma, but the core of this noisy drama about quiet desperation is Stanley Townsend’s measured Shelley Levene. He has strong support from Don Warrington and Robert Glenister (since apparently stricken by stage fright) and Kris Marshall has never been better as office manager John whose riposte to abuse – “I don’t like you” – is devastating. A pleasure to see, and hear. What a lovely match. 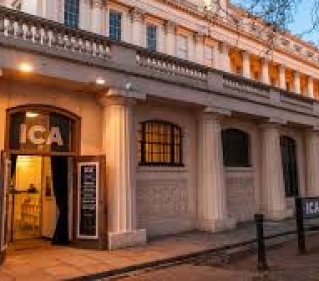 Melanie Arnold and Margot Henderson’s Shoreditch schoolyard endeavour moves up West and into the ICA, an organisation that in need of impetus and fresh ideas, but which will always be my original after-hours drinking spot. 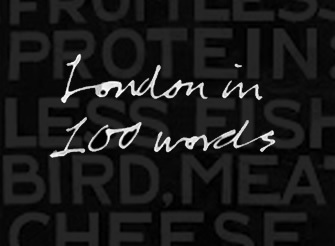 The agreeably scruffy dining room has been given a light and pleasing St John-ish makeover and the menu is short and comforting: cod’s roe, quail, ox cheek, skate, a short list of sides and puddings and eminently drinkable house wines for £5 a glass and £20 a bottle. The new bar downstairs isn’t quite finished and the foyer is a building site, plus you still have to take out a £1 day membership to get in. This all adds to the charm. Go now. In David Eldridge’s exquisitely crafted – and often exquisitely excruciating play – gorgeous Laura propositions rough-and-ready Danny at the end of her housewarming party. What starts as an awkward fumble towards a quick shag evolves into an exploration of emotional need, the precariousness of life and the isolation of existing mostly online. 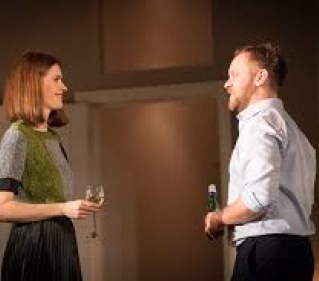 I didn’t quite buy the play’s big reveal, or Laura’s patience with Danny’s vacillation, but Justine Mitchell and Sam Troughton play them with such conviction and realism it scarcely matters, and Polly Findlay lets the play unfold at an unhurried, squiffily tentative pace. Plus there’s dancing to Bros and fish finger sandwiches. What more could you want? 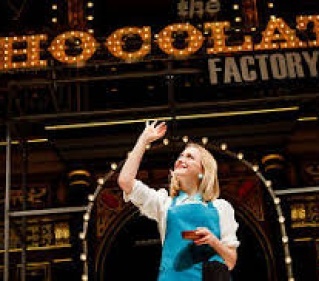 Emma Rice’s musical about socially inept chocolate makers, adapted from the French film of the same name, is sweet, bordering on the sickly. The book could easily be for a kids’ show, although the spirited, jaunty songs (by Christopher Dimond and Michael Kooman) indulge in sophisticated wordplay about erections and psychological disorders – the number by the self-help group Les Emotifs Anonyme is a high point. But though shy “chocolate savant” Angelique (Carly Bawden) obviously belongs with her awkward boss (Dominic Marsh) the process of getting them into bed together feels rather laboured and awkward. Fine supporting performances from Joanna Riding and Marc Antolin among others ensure that, ultimately, it pleases more than it cloys. 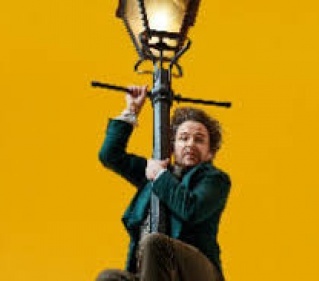 The spanking and glam new Bridge theatre gets off to a swaggering start with Richard Bean’s comedy about Karl Marx’s days as a young, penurious, unfaithful and mostly drunk exile in Soho. Rory Kinnear is a terrific in the lead - brilliant, desperate, weak, confrontational, unlovely yet somehow admirable. He makes a fine double act with Oliver Chris’s benign Engels, while Nancy Carrol is largely wasted in the thankless part of Mrs Marx. Bean boldly plays up the modern parallels and blends farce and slapstick with dialectical materialism. Nicholas Hytner directs proceedings with immense verve: it’s just a shame Mark Thompson’s boxy design is so relentlessly brown.